The latest innovation in patient comfort, clinically proven to minimize jaw pain during dental procedures. easier, faster & more Restful. It’s time to mind the jaw – We’re bringing comfort and stability to dental treatment. The Restful Jaw is the latest innovation in patient comfort that’s clinically proven to minimize jaw pain from opening the mouth during dental procedures. To learn more about the Restful Jaw, watch our short product video on the right, or learn the quick facts. Minimize treatment breaks and delays. Increase patient acceptance of elective treatments. Clinically proven to minimize jaw pain. Comfortably supports your jaw and prevents overextension. Relax your jaw during dental appointments. Can reduce treatment time and follow-up appointments. Here are all the progressive dental clinics around the world who care about dental jaw pain, comfort, and protection. Click on the map to see where their practices are located. The Restful Jaw Company is powered by experienced dental, medical, legal and marketing professionals. Click here to read their bios. We designed, tested and manufacture the Restful Jaw external support device. We’re committed to improving the dental treatment experience and oral health of patients worldwide. Curious to know more about the Restful Jaw? Please use our contact form to get in touch with our support personnel! What are the indications for using the Restful Jaw? Any long dental procedure for supporting the mandible from the dental forces on the jaw. 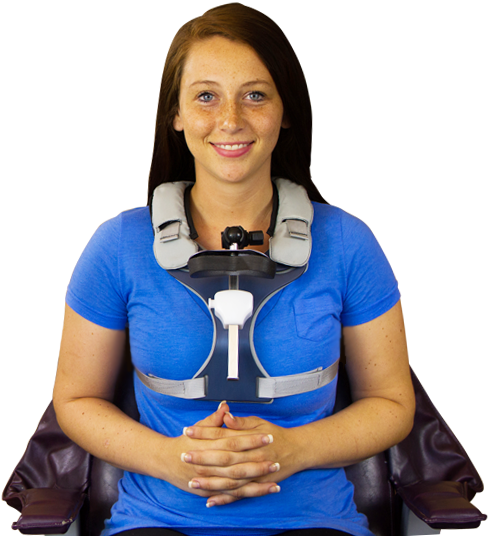 Other key indicators include: Symptomatic TMJ/TMD patients; asymptomatic patients with signs of TMD; movement disorders (e.g., Tardive dyskinesia, Parkinson, MS, or geriatric patients) – hyperactivity can be reduced by securing the device shoulder straps around dental chair, instead of the patient. How does the Restful Jaw work? The Restful Jaw’s memory foam cushion supports the patient’s mandible in the open mouth position. With the device’s support, patients do not have to tense their jaw muscles to hold their mouth open. The Restful Jaw is clinically proven to minimize jaw pain, fatigue and soreness from dental procedures. Does the device fit all patients? Our ongoing field studies show that the Restful Jaw fits a wide range of adult sizes and shapes. Will the device interfere with my dental work? No. The device supports the patient’s mandible and does not get in the way between you and the patent’s mouth. Will the device block access to the patient’s airway? Based on our clinical studies with sedated patients, the device does not block access to the patient’s airway. Can the device be used in pediatric dentistry? The current device is made to fit adult-size patients. A separate product extension is currently under design for pediatric dentistry. How much does the device cost, and where can I purchase it? For price inquiries, please contact us. The device is currently available for preorder to professional and certified dental practitioners or administrative personnel only. Unfortunately, the device is not for sale to patients at this time. If you are a patient and you would like to experience the Restful Jaw in your dental appointments, please tell your dentist about us. Have more questions about the Restful Jaw? Send us an email from our contact form.